Sports Betting News and Prop Bets about Football, Golf, Hockey, Soccer, Car Racing, Basketball, Tennis, Baseball, celebrities and more. 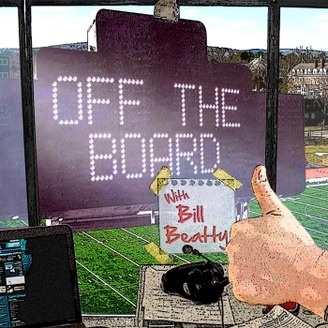 Welcome back to Off the Board, the Calvin Ayre After Party’s sports and sports betting podcast. This week it was number 51. This week we welcomed back a good friend of the podcast, Nick Gray from BoSports.net. This week we talked about England’s World Cup qualifiers, other Potential world cup teams and the powerhouses of South American football, Frys.com golf tournament and the special 3-way golf challenge between Tiger Woods, Rory McIlroy and Guan Tianlang. I answered questions about if the Washington Redskins should change their name, I talked about the Frontline special League of Denial about the NFL’s attempt to cover up football’s connection with brain injuries and if the Denver Broncos can cover the -28 point spread against the Jacksonville Jaguars. Please keep the emails coming. 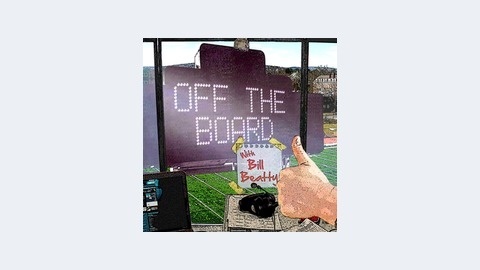 Please write the show at OffTheBoard@CalvinAyre.com, follow me on twitter @Mistabill, like our Facebook page and subscribe on iTunes where we have both a video and audio only version of the show.